If you looking for some winter sun, sandy beaches, the gentle indian ocean and culture then this is the perfect family get away. If a holiday was better then we expected then Mauritius is the place. 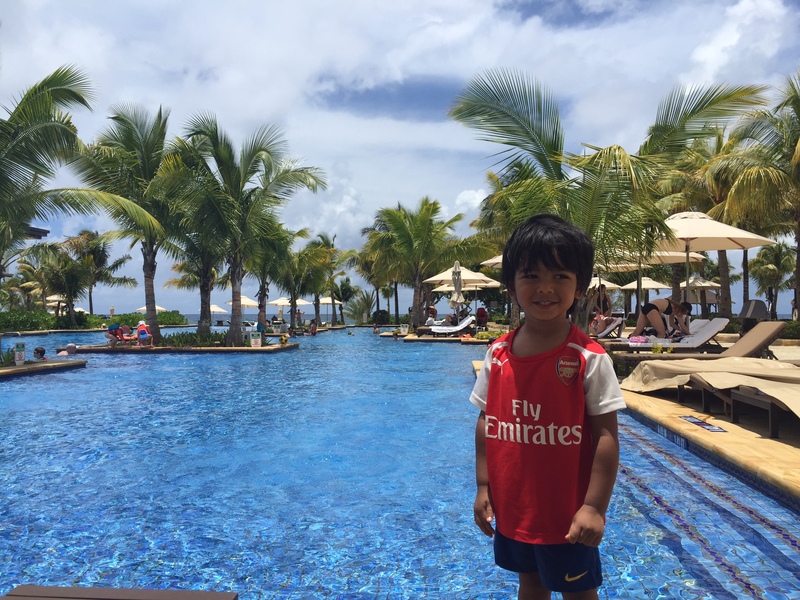 The boys absolutely loved spending mornings on the beaches, afternoons by the pool and evenings exploring their taste buds with abundance of flavours in the Mauritian Cuisine. 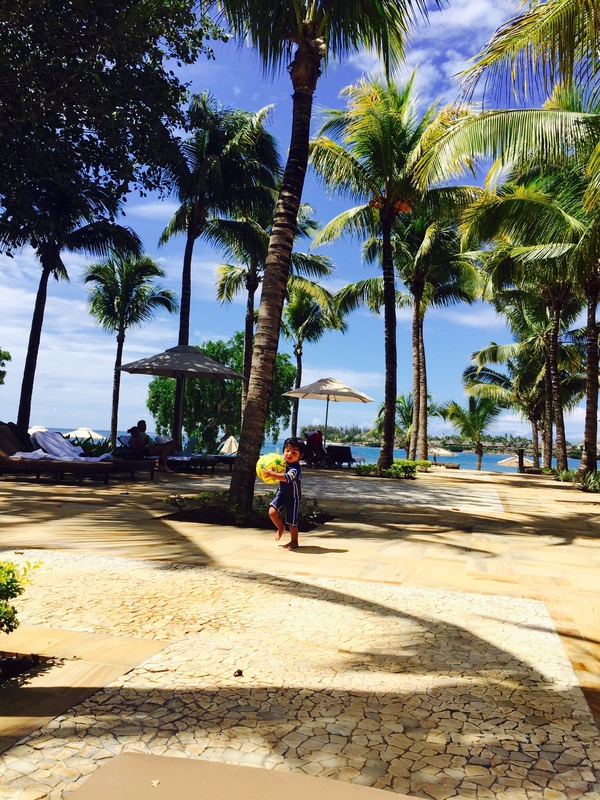 We stayed in the Westin Mauritius in Turtle bay which is a beautiful beach resort, surrounded by the beautiful sparkling blue indian ocean. We were totally impressed by the luxurious feel of the resort and the staff in the club lounge were so hospitable, providing the boys with endless milk shakes. This holiday was truly a time to unwind and enjoy the sun. The perfect thing about Mauritius is that its not your typical beach resort, its an Island that has lots to offer; with nearby by sugar canes, mountains, waterfalls and tea plantations. We love travelling with the boys, it is a way the boys can learn and explore with their senses. 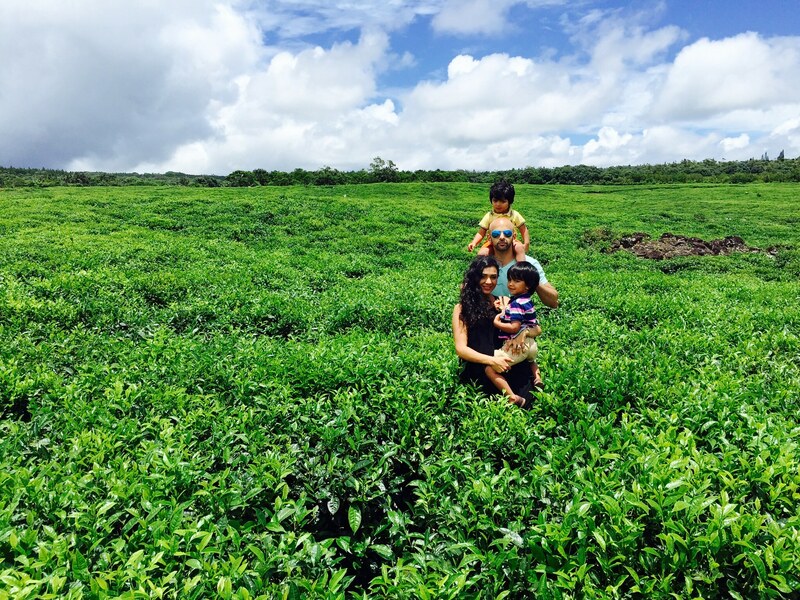 We highly recommend a visit to the tea plantation. 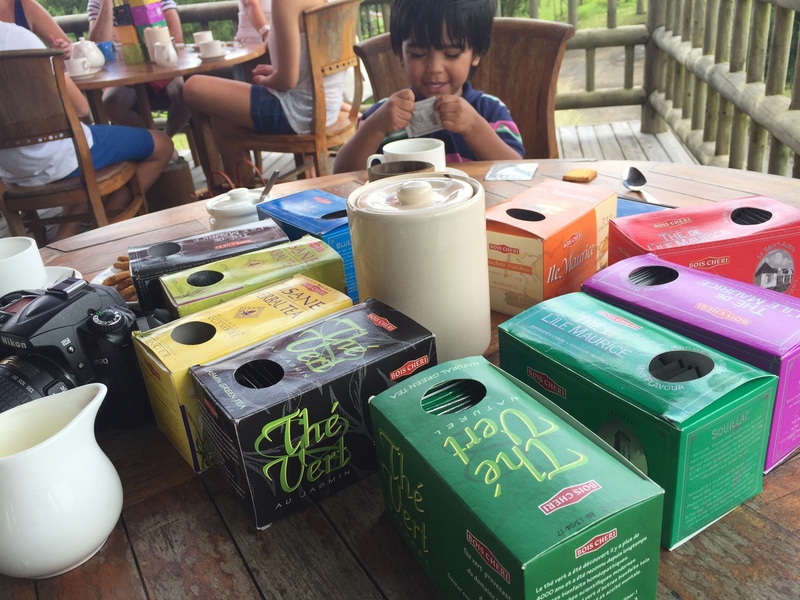 The boys absolutely loved the tea plantation they got to see how tea was made. They got to touch, see and smell the teas and even make tea. My eldest got to see what his mummy and daddy love to drink. 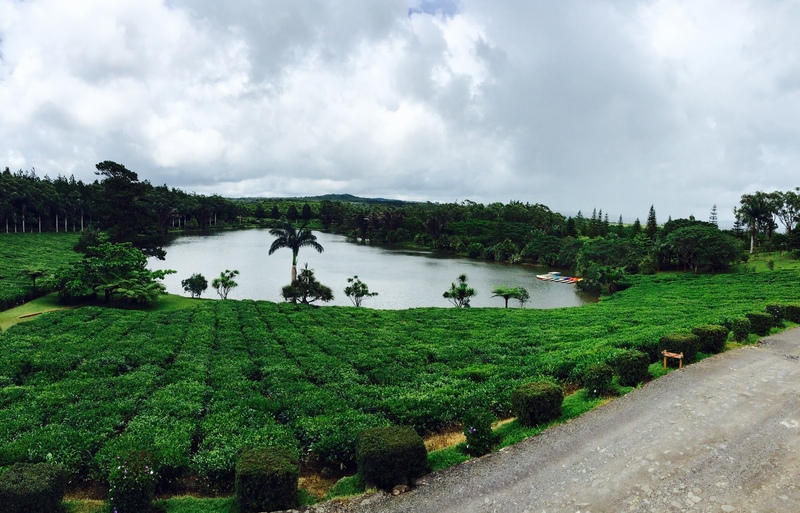 A visit to tea plantation is a must have; the tea tasting with the views of the plantation were just breathtaking. We hired a driver to take us around the island which was the best thing for us to do as a family rather then hiring a car and getting lost half the day. The Island is truly beautiful with volcanoes, waterfalls and amazing people. You have to also visit the seven colours of the earth which is a natural phenomenon. Here you can also see giant tortoises who are just chilling out nearby. 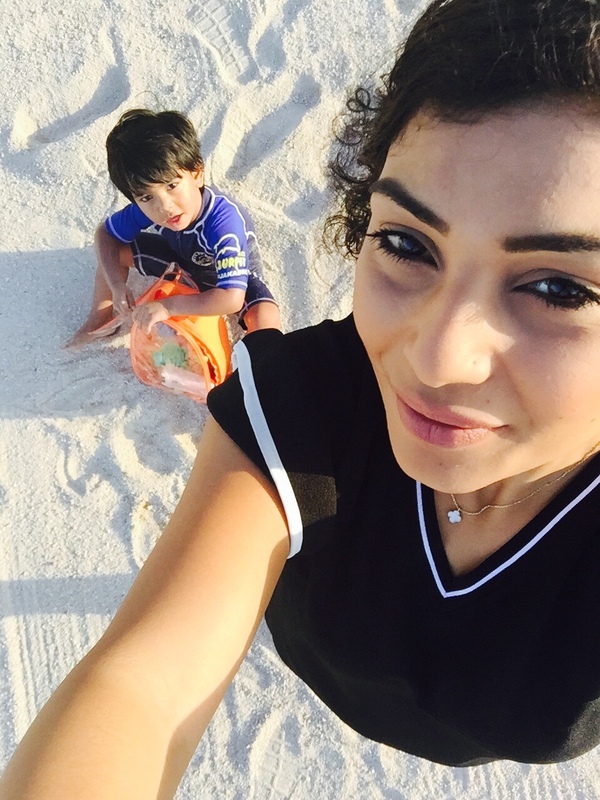 Mauritius is the ideal destination for a family, with good temperatures all year around it makes it the perfect place to unwind. The beach and the pool can keep the kids occupied all day while mummy and daddy enjoy some cocktails and much needed down the time. Kids benefit so much from travelling with the family as they get to learn through play, they get your undivided attention and they stay away from all things digital except from mummy’s camera. One thing we didn’t get to do was a helicopter tour of the undersea waterfall, the views of this would have been breath taking. Perhaps we would go back and do this when the kids are a bit older. I have had to show a picture of how amazing this place is, just to show you exactly what I mean. Photo taken from eat.travel.live. 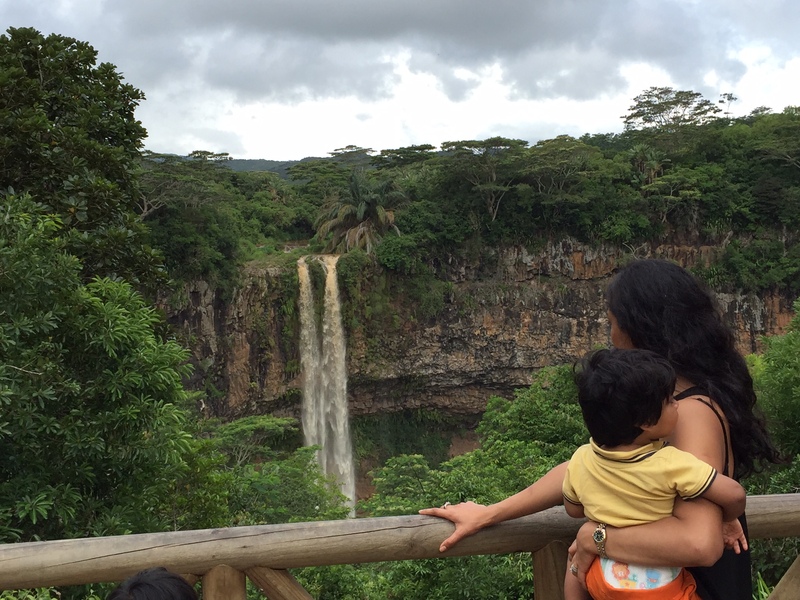 If you are looking for a place to visit for a baby moon then I would also recommend Mauritius. You can enjoy a romantic dinner on the beach, time relaxing in the spa, sun, good food and some quality time with your other half before there are 3 of you. A royal visit to the royal parks!